Stephen Hawking, courtesy of Bigger Bang. Summer school is in session at PBS. Below, watch a preview of the new Genius By Stephen Hawking TV show premiering on PBS, Wednesday, May 18, 2016 from 9:00 to 11:00pm ET. Check your local listings. In each of six episodes, scientist Stephen Hawking presents three ordinary people with a series of challenges designed to show them how to think like geniuses. The series runs through June 1st, with two one-hour episodes airing each week. PBS also announced the return of Genealogy Roadshow. Watch the preview, below. 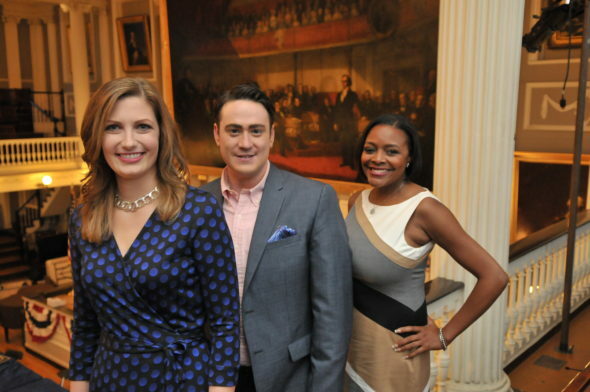 A genealogy documentary series hosted by Mary M. Tedesco, D. Joshua Taylor, and Kenyatta Berry, the third season of Genealogy Roadshow premieres Tuesday, May 17, 2016, at 8:00pm ET. Genealogy Roadshow TV show hosts Mary M. Tedesco, D. Joshua Taylor, and Kenyatta Berry in Boston, MA at Faneuil Hall. Photo courtesy of Craig Bailey. Watch the Genealogy Roadshow third season preview from PBS. Get more on Genius By Stephen Hawking, including episode titles and descriptions, taken from an earlier PBS press release. PASADENA, CA; updated April 13, 2016 – PBS President and CEO Paula A. Kerger announced today at the PBS portion of the Television Critics Association Press Tour that PBS, with National Geographic as its international broadcast partner, has commissioned a new six-part science series. GENIUS BY STEPHEN HAWKING, from production company Bigger Bang, will be presented and narrated by renowned theoretical physicist Prof. Stephen Hawking (watch a preview here). In each episode, a different group of ordinary people will be challenged to think like the greatest scientific minds in history in order to solve some of humanity’s most enduring questions. GENIUS will air on PBS in the U.S. Wednesdays, May 18-June 1, 2016, 8:00 – 10:00 p.m. ET, and internationally on National Geographic Channel. 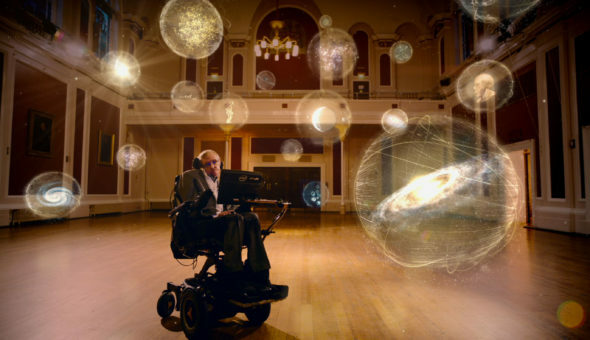 Watch this Genius By Stephen Hawking TV series preview from PBS. What do you think? How do you like the sound of the Genius By Stephen Hawking TV series? Are you a fan of Genealogy Roadshow? Do you plan to check out these PBS summer shows? More about: Genealogy Roadshow, Genealogy Roadshow: canceled or renewed?, Genius By Stephen Hawking, Genius By Stephen Hawking: canceled or renewed?, PBS TV shows: canceled or renewed?